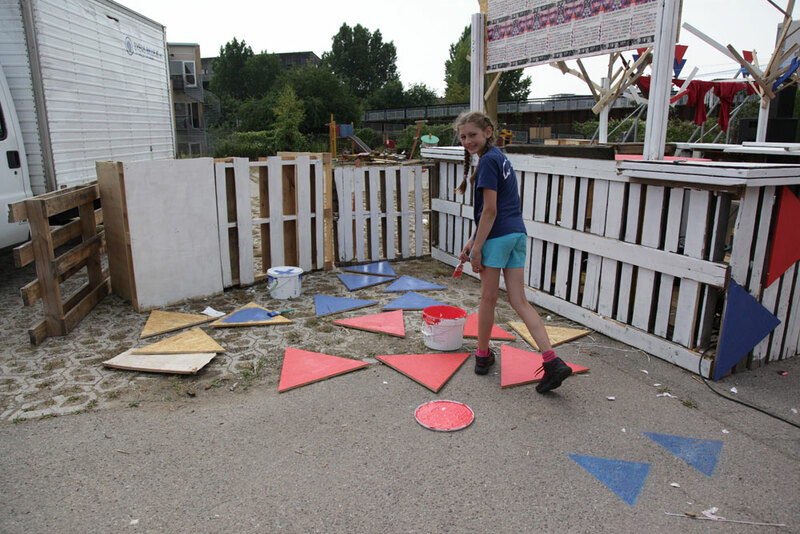 The Summer Street Camp is an educational project, providing an opportunity for students, ages 12-16 years, to be designers whilst also educating them on the benefits of waste reduction. 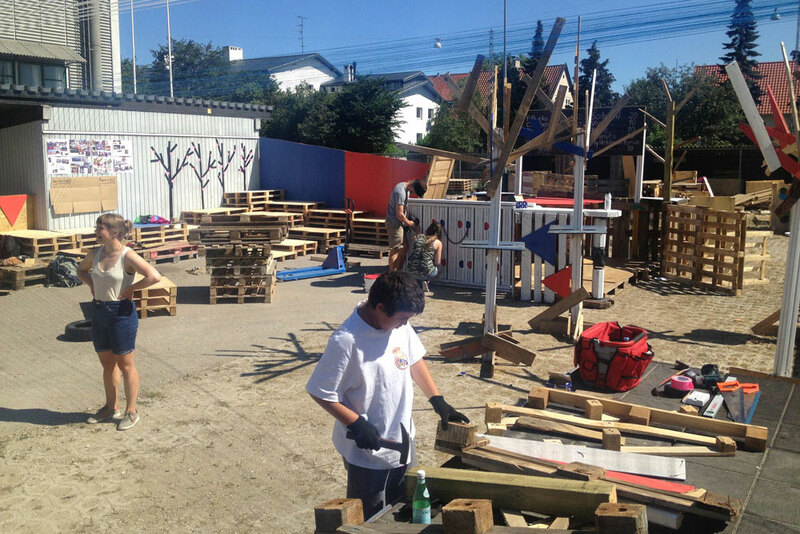 The students are provided with a design brief, site and deadline, in which they must work within the project constraints – utilize recycled materials from the site and neighborhood, in rejuvenating an underused industrial site for the Bernhard Bangs music festival. In the days prior to the construction week, the students participated in a workshop, sketched and collaged concepts for how the event should be run and how site could operate. 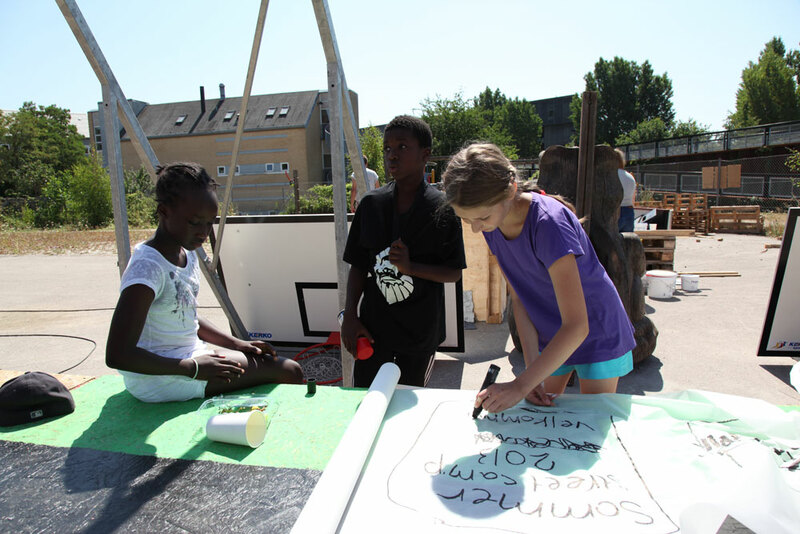 A site tour of their neighborhood allowed them to select materials and gather further ideas for the construction phase. 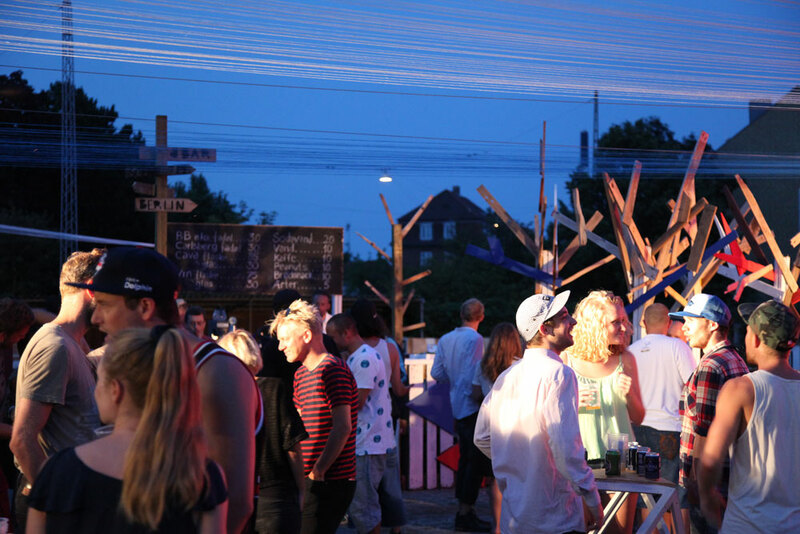 Using the remnants of former playground equipment, wooden palettes and other recycled materials, the students come-designers developed a hybrid public art installation, equipped with a bar and lounge area for guests to enjoy the music. 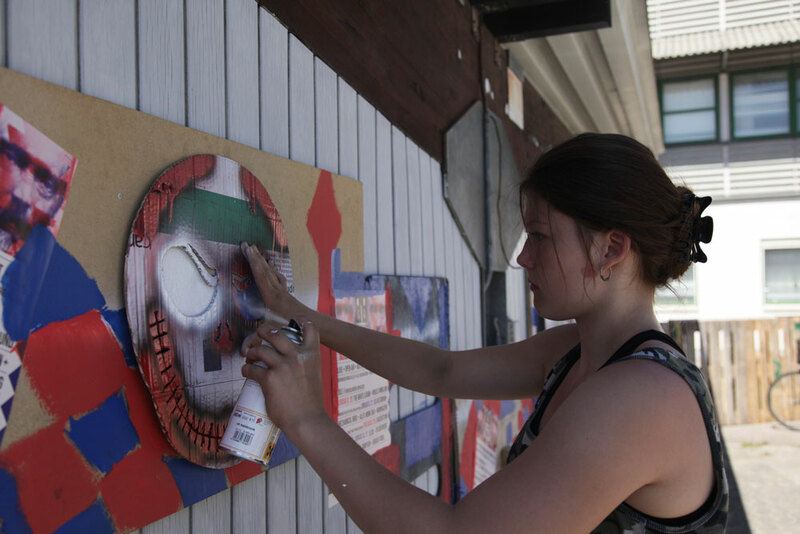 Welcome signage, stencil art, painting and graffiti allowed the students express their creative flair through street art. 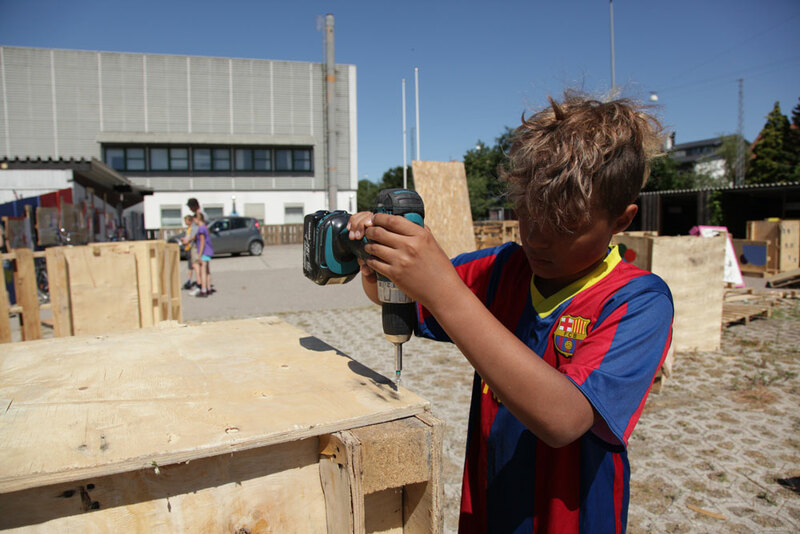 The Summer Camp gave the participants an insight to the professional design process – from concept development to construction, whilst understanding the importance of waste reduction.